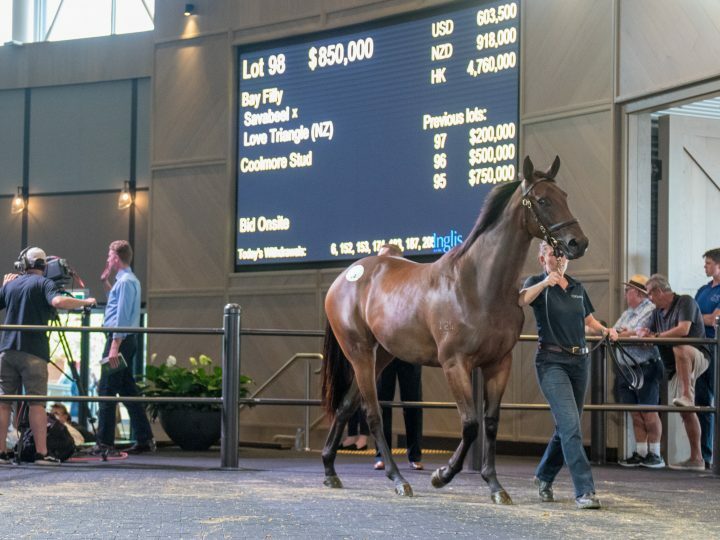 Savabeel made his presence felt on the opening day of the Inglis Sydney Easter Yearling Sale at the Riverside Stables. His daughter was put forward by Coolmore Stud and was the subject of spirited bidding. The filly was finally won by Cambridge-based agent Dean Hawthorne who went to $850,000 to secure her. The filly is out of Love Triangle, an Encosta de Lago mare who won in New Zealand when trained by Jamie Richards. Her pedigree page features Group One winner’s Don Eduardo, Viking Ruler, and De Beers – a sample of the legendary Eight Carat family.